WPP retains media and production, while Wieden+Kennedy is brought on for special projects. 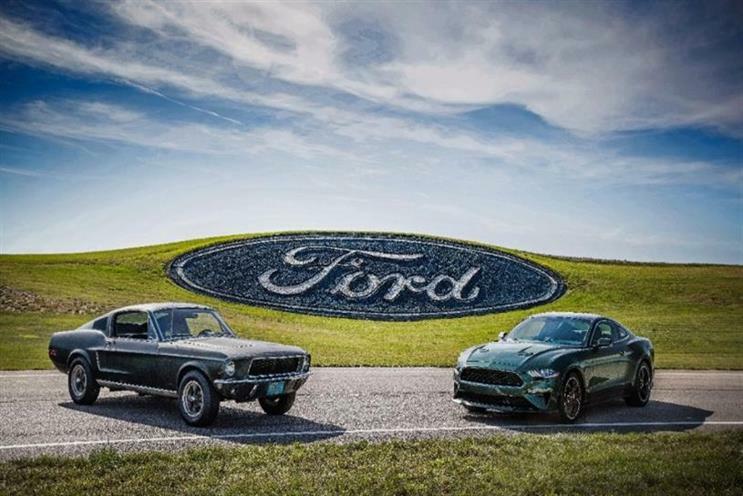 Ford has hired Omnicom Group's BBDO to lead its global, omnichannel creative business, following a review that kicked off this spring. Longtime incumbent WPP is retaining the activation portion of the business, which includes pieces like media, production, CRM and digital. Wieden+Kennedy also came away from the review, which was run by Flock Associates, with a piece of the business, being hired for special projects and innovations. "Ford already is one of the most recognized and respected brands in the world," said Joy Falotico, Ford group vice president and chief marketing officer, in a statement. "In this pivotal moment of reinvention and transformation, we’re excited to partner with world-class creative agencies to unlock the full potential of the iconic Blue Oval." BBDO will take on the new role on November 1. Digital experience agency Organic and TLGG Consulting, part of the newly formed Omnicom Precision Marketing Group, were also part of the core pitch team with BBDO. Ford plans on launching a U.S. brand campaign later this month, which will support a series of Ford vehicles. "Today is a big big day. We have a wonderful new brand to help build. I could not be more proud of the hundreds of people around the world who made this happen, or more grateful to Ford for their confidence in us," said BBDO Worldwide President and CEO Andrew Robertson in an emailed statement. Neal Arthur, managing director of W+K New York, said via email: "Working together to help build the future of the Ford Motor Company is as big, as interesting and as exciting as it gets. They have the people, the brand and the vision to lead the industry and we're humbled to be able to play a role at this moment in their history." In 2016, WPP rebranded its Team Detroit, Blue Hive, and Retail First operations, all of which were created to work for Ford, under a single global identity called Global Team Blue or GTB. Team Detroit was set up in 2007. GTB operates from 49 offices on six continents and is WPP's largest agency team, with more than 2,000 staffers. A spokesperson for WPP said: "WPP will be responsible for activating the Ford brand through key channels and regions, through its global Ford agency GTB as well as other WPP agencies, while Ford has appointed another agency as its lead creative agency. "WPP agencies will continue to handle activation, including media planning and buying, digital and production. These responsibilities also include Tier Two advertising work in the U.S., the China advertising operations with its joint venture partner, all Lincoln advertising, and all the Ford public relations business. "WPP will work closely with Ford on the shape of its future relationship and the impact on its people."